I finished my circle in honor of Carson Street, and I love it. 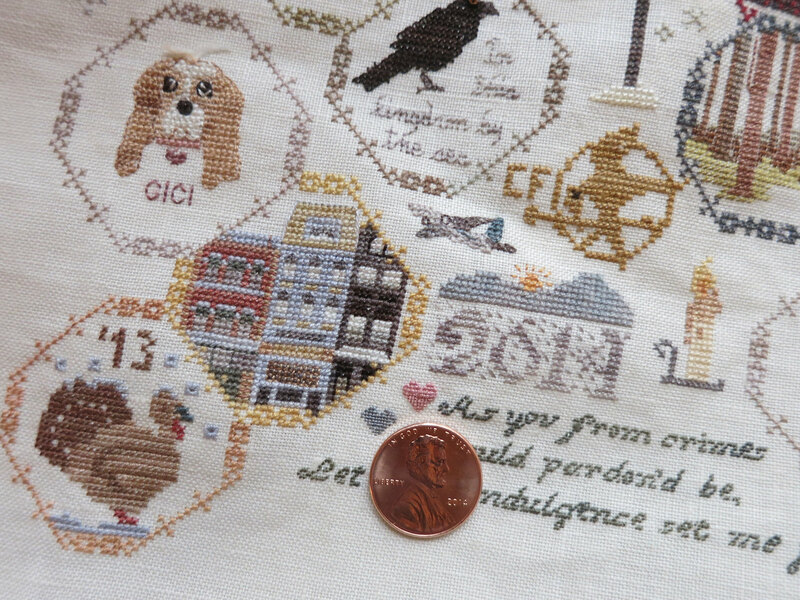 I couldn’t chart this, unfortunately, because stitching it was a PAIN (tons of quarter stitch, half stitch, stitching on top of stitches) and probably would’ve taken longer than the actual cross stitch, which I somehow finished in about eight hours. I modeled the buildings off of a grouping on 18th Street. I swear the last time I got a good look at the building on the far-left, the accent color was blue. It seems like every time I hit a major life stage, it’s in some way attached to the South Side, even aside from the times I’ve lived there. It’s always been my favorite place in Pittsburgh.